South Korean company Samsung is preparing to launch its 2019 flagship lineup. Uare eagerly waiting for Samung’s smartphones. According to the news, the phone will be launched on February 20. On this day, the Galaxy S10, S10 + and S10e can be launched. It is believed that these phones will come with a punch-hole display. In addition, it is expected to have triple camera. Now some more images of these phones have been leaked. 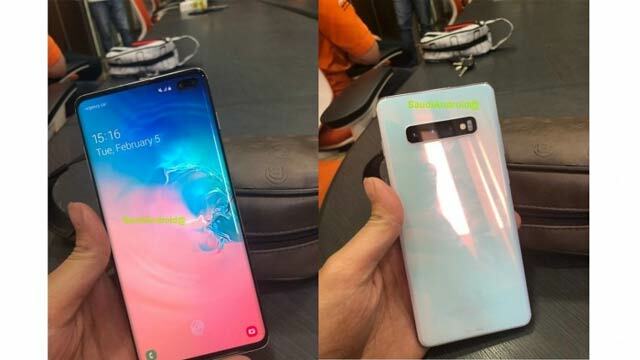 Some images from the Galaxy S10 series were leaked from a Twitter account named SaudiAndroid. There were 4 images in it. In this, the back and front panel is shown. Both phones will come with big curved screens. In addition, the single selfie camera in the Galaxy S10 will be given under the punch hole. At the same time, the S10 + will have a double-selfie camera in a tablet-shaped hole. Both phones have an in-display fingerprint sensor. The rear panel of these two phones Also a triple camera with LED flash is also given. Apart from this, the heart rate sensor will also present. 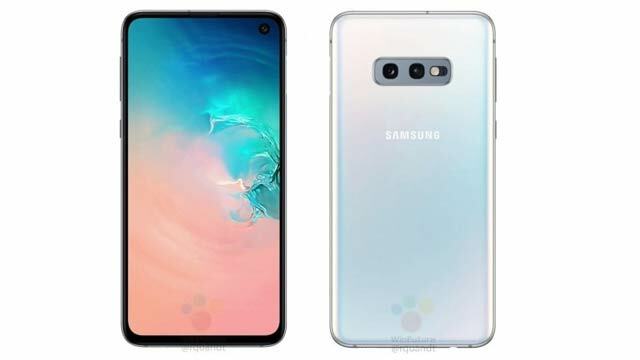 Roland Quandt also shared some images of the Galaxy S10 lineup. These images are quite clear. 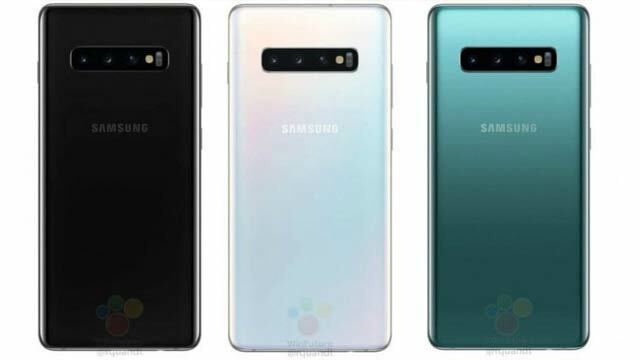 This render shows that Galaxy S10 and S10 + Black will come in White and Green color variants. At the same time, the S10 + will be made available in the creamy black color. Their top variants can be offered with 12 GB RAM and 1 TB of internal storage. Quandt has shared another photo. This image is of the Galaxy S10e. It is being called the Galaxy S10 lineup iPhone XR. The Galaxy S10e has almost complete design and hardware similar to other phones. Apart from this, the flat Infinity-O AMOLED display is also expected to be given in the phone. Fingerprint sensor will be present in this phone’s power button. In addition, it is expected to have a 5.8 inch display. To give power to the phone, a 3100 mAH battery can be given. While S10 and S10 + are expected to be given 3400 mAh and 4100 MAH batteries respectively. Finally, an official marketing image of Galaxy Buds has surfaced. These are kept in earbuds case. They are shown with the Galaxy S10. According to the news, they can cost about 149 euros or 12,000 rupees. Previous Get know what is Face Recognition ?? Click here to read..